Even though audiophiles are unnervingly adept at unearthing news before their ink has dried; even though the Internet makes their postings real-time and instantaneous; coming across companies one has never heard of anywhere before does remain a disconcerting audio beat routine. As under siege as specialist audio claims to be from the Great iPod & Download Change, new companies continue to crop up - or often prove to have existed quietly for years, thank you very much. Enter Stylos Systems. When the following e-mail arrived, it was news to me. As I perused it, this company turned out to be rather intriguing in fact, not least because like LessLoss, here was another small firm from the Balkans whose three principals were doggedly pursuing an advancement in digital-to-analog conversion during a time when pundits claim less and less people are interested in such devices. Do these pundits smoke bad poppycock? Are makers of extreme and extremely specialized audio oblivious? Don't they give a twit? Do they hope to single-handedly turn the tide? Is some mysterious other force the reason why a cottage industry around the globe continues to produce rare flowers, all the while only feigning concern over whether anyone will stop to smell their roses? If so, the creative urge is alive and well. With it, global evidence that mankind at large is keenly courting extinction becomes perhaps the less impressive news. "We are a small company (PLO REC s.p.) based in Slovenia/Europe and involved with the production of high-quality hand-made digital hifi components under the brand name of Stylos Sys. 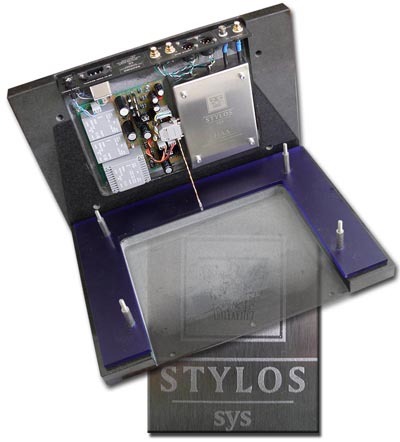 Our flagship is the Stylos Sys HAD digital-to-analog converter. With this DAC, we present our views on a high-quality audio component with a robust timeless design, smart and easy-to-use operation, extreme reliability and of course high-end sound. 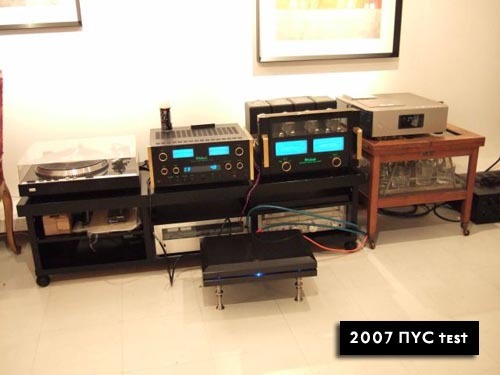 Some of our costumers believe that ours is the only audio component in the market which won't degrade over 1000 years. We use only the very best of timeless materials: granite, inox, aluminium, laser engraving and electronic parts with long life times and good sound. "Our industrial design is by artist Jurij Pfeifer and becomes his personal take on the oldest art of earth: music. It is not just the oldest but also most abstract form of art. It's a little hard for me to explain everything that makes our converter so unique because my English is handicapped [100% better than my Slovenian though - Ed.]. When we mix together art, electronic parts and sound, HAD really does become a different proposition, from its industrial design to its sound. Its design reminds us of antique architecture. Like music, we glean from the oldest architecture which remains beautiful and strangely modern and which we relate to immediately because it was indeed one of the most advanced. "Regarding the sound of our HAD converter, it is hard to find that kind of sound in today's audio market. I will not discuss how good the sound of our converter is or convince you that we offer the best sound in the world. However, we are sure that we offer a sound which exhibits the smallest electronic signature on the market. This non-electronic sound is simply music. Whenever we arrive at music, we also have licked all the other things which audiophiles and audio critics like to discuss and write about. Maybe this kind of reductionist thinking on our part becomes a problem for much of high-end audio and its manufacturers - but not all of them of course. 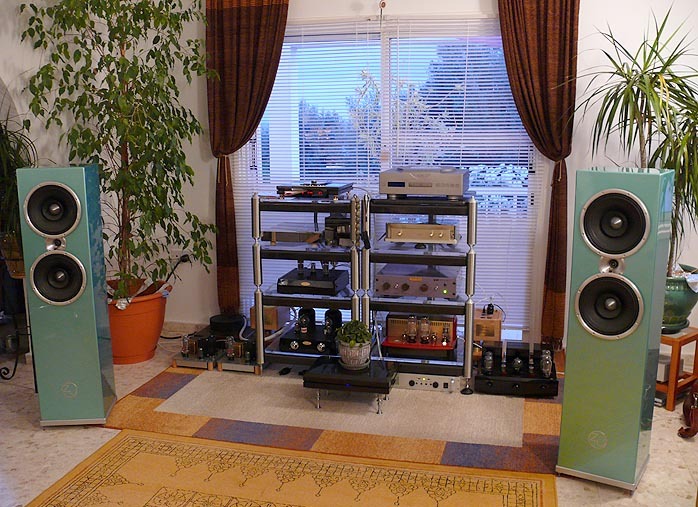 "Knowing about audio electronics requires a lot of research and a lot of listening. Most importantly, you must come to the right conclusions in the end. The sound of a digital component is primarily not a matter of electronic parts but of its algorithm. Soup remains soup even if you put in it more salt or pepper or meat. If you put in the right quantities of ingredients, it will be a very good soup but never become a steak. 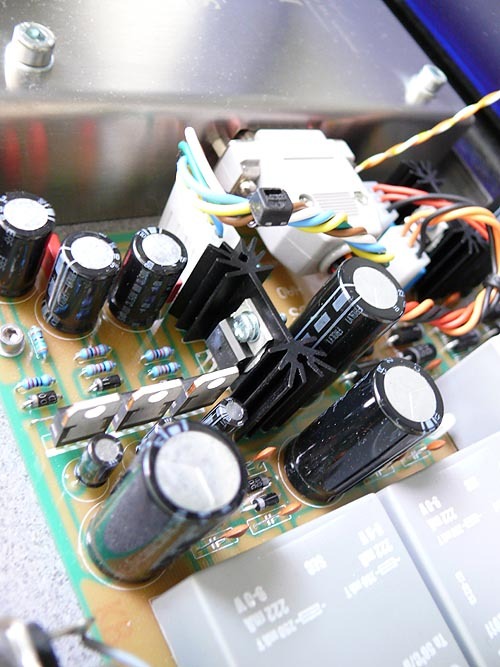 Discussions about electronic parts -- how many, which kind, which exotic capacitors -- and from what materials our components are built satisfy all the usual parameters but the most important one in the end is the sound. 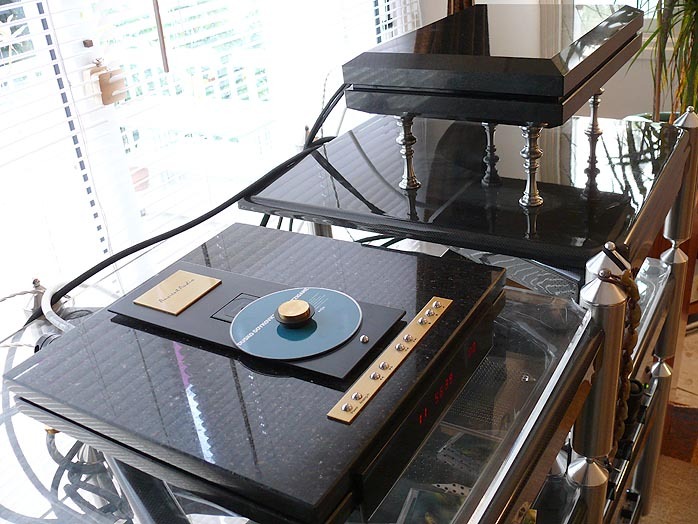 There is no other standard in high-end audio, just a superior sound with thesmallest possible sense of electronic signature - and a lifetime reliability on the mechanics and electronics. Concerns over what parts and how many of them indicate nothing about the sound of a component just as measurements don't. Two components with identical measurements can still have an utterly different sound. "For our components, the right algorithm becomes critical. Only that kind of deep research will result in a good product. 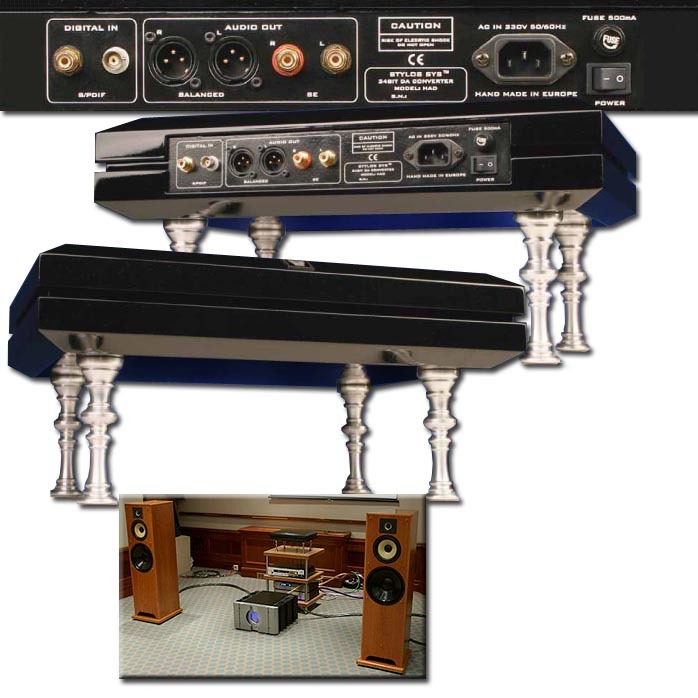 If you want to create a true high-end component, you must use you own head, not clone and copy others. What is written in the text books and published on the Net can hypothetically instruct anyone but at present, that's not enough to arrive at state-of-the-art sound. Whenever people ask me why some high-end components are so expensive without having anything special on their insides, my return question becomes whether good poetry is the one written on three, five or twenty pages; or in a few columns; or has it to be written on gold-leaf pages? What is modern and what is good is always answered by how it survives over time and how it is eventually regarded in the bigger context of future generations. There were painters which sold many of their paintings over a specific period but today, nobody bothers with them. They are all but forgotten. "Even though your review unit will be fully preconditioned, it still needs to be on for 24 hours before it is ready - and, you should keep it on for continued best performance unless you take a vacation. 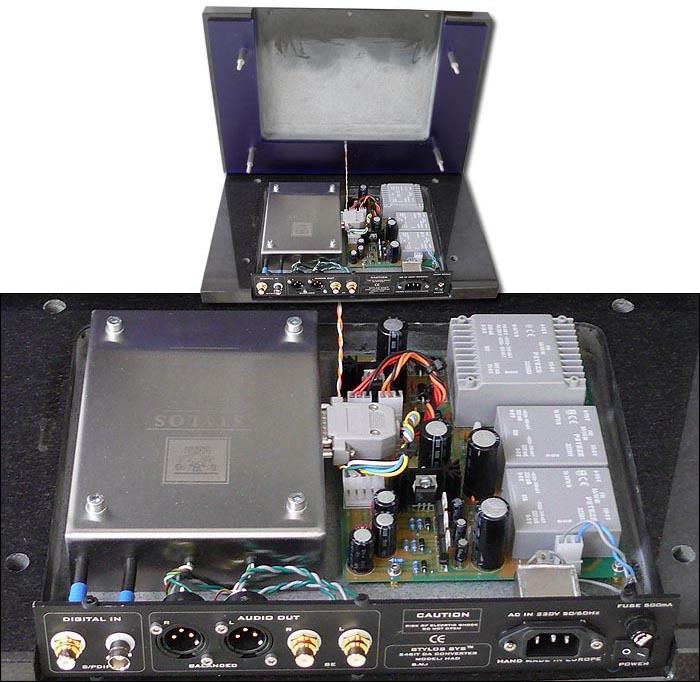 With this project, we spent 2007 so far on upgrading the power supply of the original design which was built around seven regulated stages and a dual-mono configuration for the analog output stage. The new power supply uses just one UI transformer for the analog circuit (giving better results with just one transformer) and a semi-regulated Mosfet voltage gain stage in dual-mono layout. The analog and digital conversion stages are built around three independently regulated circuits with all new UI transformers, upgrades over the previous EI cores by being more musical and responsible for more space and detail. As compared to other manufacturers, we do things differently. Mistakes are everywhere and it is impossible to fix them all. Every audio designer has to decide which are the most important ones from his point of view. Our chief designer Janek is is fond of saying that the core difference between HAD and other digital components is that the more you listen to HAD, the more you love it while the inverse is true elsewhere - the more you listen, the more you hate it. As far as comparisons to turntables go, the technology gap between both approaches is simply too vast to engage any realistic comparisons. "With regards to the actual algorithms employed, they're based on the TI PCM1730 converter and TI receiver because in the HAD, they produce the best results. We tried many different chips and ended up with these. However, we don't believe that identifying whatever converter chip was used predicts anything about the final sound. Otherwise, why would anyone today even bother with old TDA1541s or PCM63s, PCM1702s or PCM1704s for new products? The chip is just one component in a complex algorithm of the whole converter. Even the power supply is part of the signal path, not merely a provider of clean power for the active electronics. but still end up with a different sound. In short, upsampling in the HAD simply wasn't desirable. "We put a lot of attention on the digital signal path. For example, the distance between the receiver and converter is just 4mm. 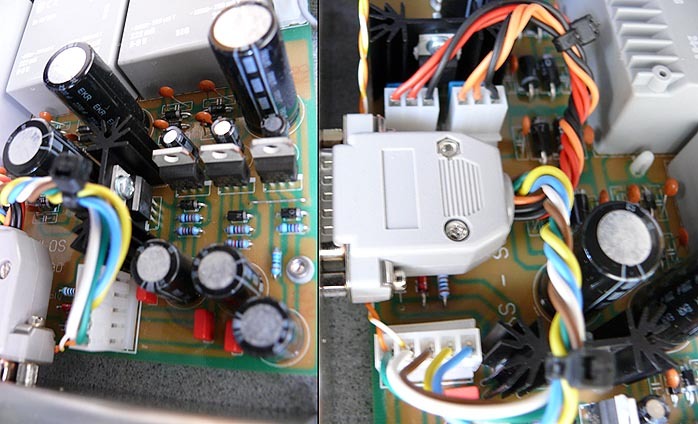 To avoid a lot of circuit junctions (digital or analog), we use one-sided circuit board only. That becomes very similar to point-to-point wiring. From a hi-tech perspective, this is a little old-fashioned and nearly no longer acceptable for this type of application. Still, it's quite vital whenever sound is paramount. With that kind of approach, we can reduce the number of actual joints to the absolute minimum. In digital circuits, that's of great importance because electrical joints can become big jitter sources. Further on this subject, you would be surprised to discover that F-connectors are in fact the ultimate standard in digital. A high-end component with satellite connectors you say? You can't even find good digital cables with F connectors. No one uses them. Instead, we're back at the "high-end standards". But enough of that disappointing tangent. "We're also categorically avoiding surface-mount devices. We can shorten the signal path with standard components which in most cases are far superior to SMDs. Additionally, there is no DSP processing or one single OP amp inside the HAD. Those are bad for the music and we reject them. Ditto for mute transistors and other ingredients that are bad for the sound. Our customers ask us why there is a beep from the speakers when one powers up the transport. The answer is simple: because that sound is actually made. Why don't you hear it through other converters? I won't answer that except to say that our mission is to neither add nor subtract from a recording or a component. We don't want to create sound, we just want to transfer data to its final destination in as pristine and untouched a condition as possible. "Our engineering team around chief engineer Janez Poženel focused a lot of attention on the design of the current-to-voltage conversion at the converter's output; on the low-pass filter; and on the analog stage. After much research, we learned that these three elements are the most critical for the final performance. In the I/V, filter and output stages, only one Mosfet per channel becomes the active element. The I/V conversion stage incorporates a 1st-order low-pass filter built around passive components but works in uniquely active mode. This keeps signal strength very high, doesn't invert phase and reflects extreme dynamic range and 100% stability when exposed to high-frequency transients. However, if we want to use this kind of circuit attached to the PCM1730, we must diverge from the supplier's data sheet, something else that is unusual and not seen in other digital components on the market today. 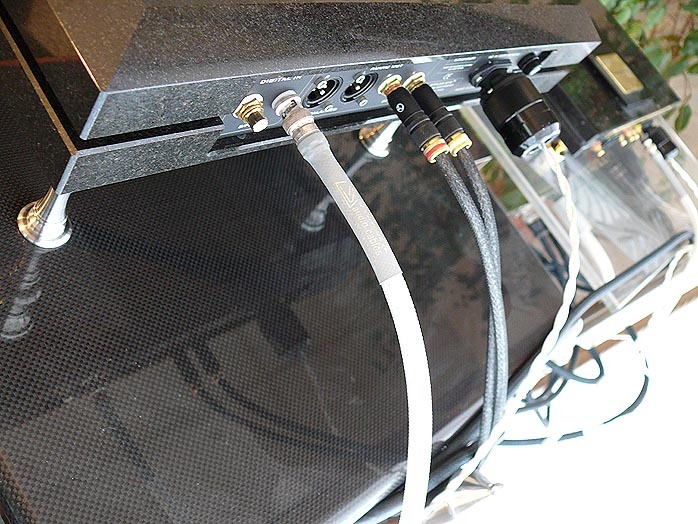 "A further advantage of this approach is a true balanced output since both the inverted and non-inverted phase streams are taken separately all the way to the output connectors. The single-ended output is simply the non-inverted data while the balanced output is the non-inverted + inverted data at twice the signal strength. That same topology -- single-stage class A without feedback built around a single Mosfet -- is used through the I/V conversion to the filter and final output stage, independently for each phase. We experimented with many different output stages including popular tubes but in the end favored FETs in class A because those devices offered us the most neutral and dynamic sound. To us, neutral means unrecognizably transistor or tube. hear the signal. You can also connect the HAD's outputs directly to 32/64-ohm headphones. Naturally, the lowest octaves will be rolled off since the output capacitors aren't sufficiently sized for such applications - but it does prove a point. 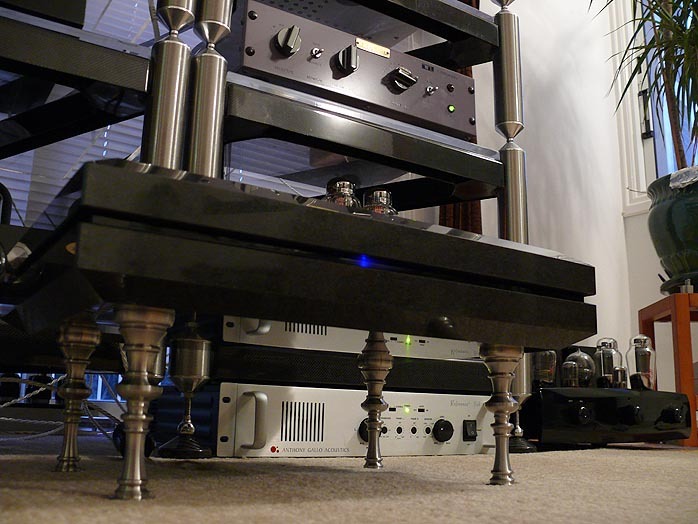 Incidentally, the best way to incorporate the HAD into your system is by way of a passive preamp. There is no need for an active preamp. The sound with a passive will be far more pure. Lastly, all our electronics (without the power supply, naturally) are sealed inside an Inox sub enclosure filled with a special epoxy to eliminate unwanted vibration. And we don't use esoteric electronic parts. We rely on high-quality industrial parts selected for their intrinsic sound quality and long-term reliability." To reiterate, Igor Jež's use of the word algorithm is more inclusive than mere specifics on number crunching. He means the entirety of the circuit and its transfer function from input to output. The simple reveal of Texas Instruments' PCM1730 should otherwise determine what the Stylos Systems HAD's sounds like, precisely and predictably. As most audiophile know, things in the upper leagues are never that simple. In fact, Igor's e-mail contains zero specs, zero razzle and dazzle based on impressive figures. In so many words, he is telling us what I expect Stylos Systems tells all its clients: "Don't worry about any of that crap. Just listen and see how you feel over time." Put differently, if the music speaks to you, doesn't that automatically imply that all the other stuff was handled to satisfaction? different. If so (and if that should coincide with the above five-word summary), so much the better in the end. Concomitant with its asking price, build quality of this converter is stellar. You won't feel had one bit. Attendant weight is equally substantial. The basic construction is simplicity itself. 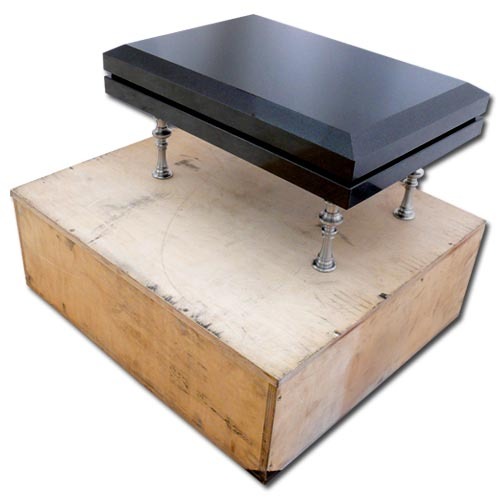 Two clamshell granite halves with carved-out inner bays screw together with four precision-fitted bolts that become the threaded ends on the belly for the classically turned steel footers. A thin layer of hard blue Lexan riding on the same bolts acts as a recessed spacer between the stony slabs. A very small and subdued LED front-row center shines through the Lexan to confirm power status.